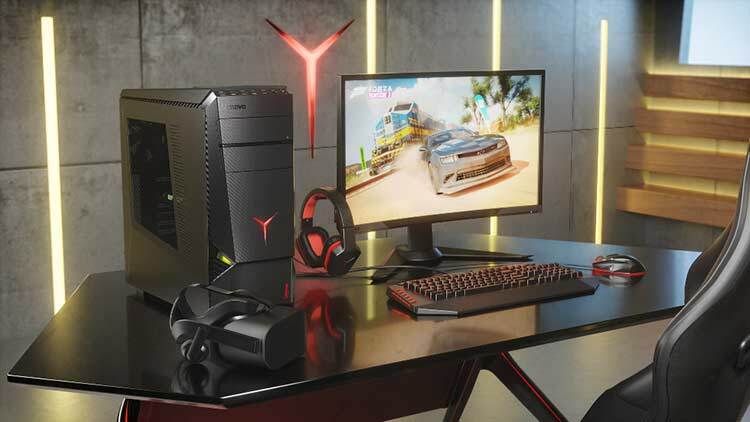 Lenovo Legion Y920 Tower runs on windows 10 operating system. It has 7th generation Intel i7-7700K quad core processor. These two combinations are enough to run any major VR application or games. It has optional 32GB 2800Mhz Corsair Vengeance LPX overclockable DDR4 memory. It also features optional integrated Asetek liquid cooling to overclock your CPU. This PC will be available for common people from September and will cost you €2,299. The second laptop in the series is Legion Y720 Tower. This laptop offers users an optional 16GB Intel Optane memory unit for faster system responsiveness. It also features Windows 10 operating system and a 7th generation Intel i7-7700K quad core processor. It can support NVIDIA GeForce GTX 1070 8GB graphics. The specifications are slightly less than the first one but are enough to run most of the VR games. This PC will also be available by the mid of September and will cost around €1,299. Lenovo has designed this PC for console players who want to dip their toes into the expansive world of PC gaming. This PC will support native live game streaming through Mixer, DirectX 12. The best thing about this one is its aspect ratio of 21:9. You can also use this PC to remain connected with your friends through Xbox Live. The PC comes with NVIDIA GeForce GTX 1060 GPU and a 7th generation Intel i7-7700K processor. It will be available for common people by the end of August and will cost around €749. Lenovo also unveiled Legion Y25f Gaming Monitor which is a 24.5-inch full HD display monitor with an astonishing refresh rate of 144Hz. This monitor also has all-new HDR capability plus 400 nits of brightness. This monitor is perfect for multi-monitor gaming setups. But, you will have to wait a bit longer for this one as this will be available by the end of this year and will cost you €299.